Welcome to Wordless Wednesday! We are so happy to have you share your wonderful memories with us. You can just feel the love and magic of your dad! Great shots! Thanks for sharing today. Yay! Glad you turned him into a Disney Dad! ;) Great pictures. Welcome to the Disney Wordless Wednesday Blog Hop! I'm so glad you joined us today and shared your great Disney Dads collage. I just love your pictures! It looks like you all made many magical memories on the trip. 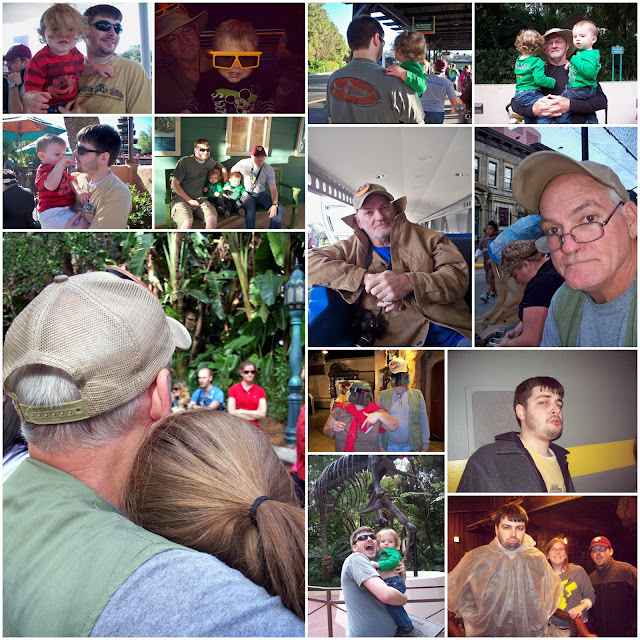 Happy Father's Day to your Disney Dads! Looking forward to keeping up & getting to know you! I am doing two giveaways! If you would like, check it out! You converted him to a Disney Dad! Brilliant photos! Great Collage! Happy Fathers Day to your Disney Dads!